Daniel J. Warren is President and Founding Partner of The Warren Group Wealth Management, Inc.. Since 1998, he has been dedicated to providing his clients with a full range of insurance, investment and financial advisory services. 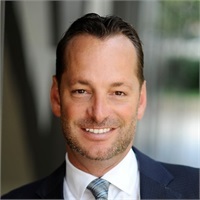 Daniel was born and raised in Los Angeles and completed his Bachelor’s degree in Business Economics at the University of California at Santa Barbara. Upon graduating from UCSB, Daniel started his career in the financial services industry with Prudential Financial, one of the oldest and largest financial firms in the nation. During his nine years at Prudential Financial, he was recognized as one of their top advisors and managers of financial services in the country. In 2007, Daniel founded The Warren Group Wealth Management, Inc. to provide a new level of independent comprehensive and objective advice to individuals and businesses. Daniel’s vision for The Warren Group is to offer a meaningful alternative to traditional financial planning and investment brokerage firms by providing comprehensive planning without the proprietary product bias that has become so prevalent in the financial industry. Daniel carries the following industry licenses: Investment Advisor Law Examination (Series 65), General Securities Principal (Series 24), General and Variable Securities Representative (Series 6 & 7), Uniform State Law (Series 63), and California Life & Health Insurance License. He also holds his Registered Financial Consultant (RFC) and Certification in Long Term Care Insurance (CLTC) designations. Daniel is a member of the National Association of Insurance and Financial Advisors (NAIFA). Daniel, his wife Dalia, and daughter Siena, reside in Agoura Hills, CA. Daniel is a true sports fan, and stays active by playing golf and racquetball. He also enjoys traveling, cooking and spending time with his family and friends. Daniel has won the Five Star Wealth Manager Award 4 out of the past 5 years.